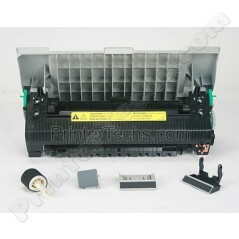 The HP 2820, 2840 maintenance kit includes a fuser, pickup rollers, and separation pads for trays 1 and 2. . The fuser is available alone without the rollers and pads. Also you can save money by purchasing the fuser on exchange. Contact us if you have questions about the purchasing options. Be sure to check out our helpful step-by-step installation instructions.